The event seems to be called Festivus. Music producer Christopher “Marshmello” Comstock is supposedly collaborating with Fortnite: Battle Royale for an in-game event. A game leaker by the name of Lucas7yoshi revealed on Twitter today that an event hosted by Marshmello is coming to Fortnite on Feb. 2 at 1pm CT. Leaked images about the show display the artist holding Boogie Bombs, with the location being Pleasant Park in the Northwest corner of the map. 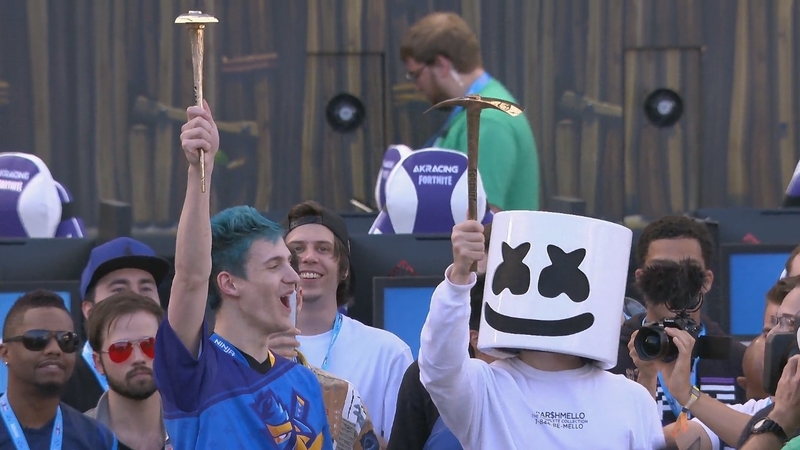 Marshmello is no stranger to Fortnite, though. He has teamed up with popular Twitch streamer Tyler “Ninja” Blevins on several occasions, such as at the E3 Celebrity Pro-Am tournament and in some of his broadcasts. The producer is most known for his collaborative pop hits with other artists such as Bastille (“Happier”), Khalid (“Silence”), Selena Gomez (“Wolves”), and Logic (“Everyday”).